1) If some visitor is sitting in my seat at church on Sunday because they only go to church once or twice a year, I’ma go nuts. 2) Sometimes I forget what I’ve blogged/said and repeat myself. Sorry about that. 3) Do liberals still not like the Patriot Act? Can’t tell. 4) Still waiting on a Groupon for Five Guys. 5) That thing you’re passionate about? Your tendency will be to see everything through that particular lens. And expect everyone else to also. 6) My hometown is getting a new ballpark for the local minor league team. I drove by it today and was blown away with how great it looks. A lot of cynicism about downtown was dealt a blow. 7) Sometimes I forget what I’ve blogged/said and repeat myself. Sorry about that. 8) One of the reasons I continue to go back to C.S. Lewis and Eugene Peterson and Brennan Manning is because of how loving they are towards people in their writings. And even when I disagree with them they seem to be driven in those areas by love of God and man. And I love them for it. 9) My pastor is pretty funny and that means a lot. 10) If Moneyball was on Netflix I would have already seen it a dozen times. 11) In McGrath’s new biography of Lewis, he cannot understand why Lewis would spend 3 chapters in Surprised By Joy talking about his misery in a particular school. This is because McGrath must not understand the place of Joy in a man’s life when his waking moment’s are dominated by experiences which are the opposite of what he is seeking. 12) Numbers have no conscience. Zero. 13) There are a number things in my life I have not gotten right. Choosing a wife is the one thing I’m certain I’ve gotten right. And starting Kozma at SS next week on my fantasy team. I listen to albums like most people watch movies. So that I can listen without interruption, I set aside time to do this. Been doing it since I bought my first album in the eighties. It’s never wasted time. Sometimes I listen over and over and over. More often than not, I stop at the end and take the end of the album as the end of the listening and go do something else entirely with those notes still circling in my head, now more clear. So when I wrote The God of the Mundane, I would listen to albums straight through while writing. A little Josh Ritter, some Gaslight Anthem. Dylan. Anything with a story to tell. But mostly I listened to Springsteen’s Darkness on the Edge of Town. I honestly cannot remember if it was intentional or not. Springsteen’s songs and his album, Nebraska had been favorites for years. But a few years ago, I starting listening to Born to Run and Darkness alot. I’d finish listening to them in chronological order and know I was listening to something profound. Born to Run, his breakout album, with all it’s passion and energy and youth and need to escape was perfect for sweaty summer nights. And then Darkness, that tour de force of understanding and taking the world as it is and packing some of those dreams away into the attic. It was probably natural that I’d gravitate towards Darkness while writing a book about ordinary life and all the concerns of those who think it is not enough. Only the writings of Eugene Peterson were more influential. So the question – why…how could a Springsteen album be so influential to a pastor writing a book? Nearly every adult at some point stands neck deep in their own adulthood and has to reckon with the compromises it demands. Is this mundane life meaningful? Does God even care? And the internal fight between is this all there is? and should I want something more? can rage for years on end. Springsteen is no believer. But his songs helped me see where people are. Something I honestly never cared to see while I was a pastor. I was too concerned with getting people to do something…anything to see the pain within. You worried about something so small as your work? Well, don’t waste your life then wondering and do something big for God. It is very tempting for men and women to look back over their lives and wonder if it all mattered. The desk-job repeated every day. The diapers. The minivan over the sports car. Shoes over concert tickets. Home over happy hour. And it is just as easy to dismiss those concerns with so much coldness in the name of calling people to commitment. And so I wrote the The God of the Mundane because I didn’t think pie-in-the-sky Christianity was any good at dealing with this. These aren’t people that need to work harder on their faith. They need an Object of Faith that cares about all the ordinary. The “radical movement” is a call for escape – a baptized version of Born to Run. Maybe. Regardless, there are far too many voices telling everyone to do something else…be something else…live somewhere else. They need a God who can infuse meaning in the middle of their mundane existence. They need a God for right where they are now. The evangelical party line is that Jesus accepts people right where they are. But for the most part it’s a bait and switch. At least it was for me. I never really cared about where they were beyond wanting people to no longer be there. Whether they were unbelievers or just not doing well emotionally/spiritually, I was only prepared to diagnose the problem and move them on as quickly as possible. But there is much to see. And understand. And Springsteen helped me to stop and look around. 1) Just a reminder that you should not criticize the American Dream from an electronic device. You could break the Matrix. 2) God, through others, has provided for us this week in a way that chips away at my cynicism to reveal some tender hope underneath. 4) Last night I dreamed about baseball season and it was wonderful. 5) The pants of my favorite blue suit have a hole in them…may be a job for Knit Em Jenny. 6) Today David Platt, famous for his book critiquing the American Dream, will be speaking at a conference. You can watch the Livestream of his talk. Online. In high definition. On your computer. Or iPad. You know, using wifi. 7) My kids are awesome. Wanna borrow ’em? 8) Watching my wife cook is like a two-for-one deal. 9) You know you belong to a good church when you are not with them and you still feel like you are with them. 10) Windows down. Sunroof open. This on 11. I write this on Monday, March 18th, 2013. This is not the post I planned for today. And the post I’m gonna write runs the risk of looking like a pity party. But I want you to see something. And I ssume some of you need to see it as much as I did. I took today off because I needed it. So after sleeping in and drinking the first cup of coffee I put my arms around Bethany and with two hurried sentences asked God to provide for our needs this week. That was not a flippant prayer. We enjoy a lot of comforts but paying bills without using our savings is not one of them. Our only real extravagances are the home we rent, Netflix and the cell phone plan. We have taken two family vacations. Ever. Recovering financially after vocational ministry is harder than I thought. My prayers for provision are usually followed by a broken transmission. Or so it seems. I tell you this only so you’ll see the goodness of God. At 2 o’clock today, a stranger rings our door bell. Never seen her before in my life. She says she has a delivery for us from Sam’s and would not tell us who put her on the errand. All this is followed by confusion, smiles and incredulous wonder. She was enjoying this possibly more than us. I had forgotten about the prayer till we got it all inside and put the goods away. And then this old cynic’s heart beat bright red with the realization. I would like to tell you that this kinda thing never happens to us and that is why I am so cynical. but it does happen to us periodically. And I can only guess it happens more than I realize. Yesterday I taught Sunday School and it was on the King and the Kingdom. It’s more of an OT survey class but I decided to go rogue and tell them about the righteous, powerful, and loving King we have. And how I’ve needed that kind of King lately. All of it was hard to say. Mainly because I’ve struggled to buy it. Intellectually, I’m there. But my head falls into my hands wondering what the hell is gonna happen to us more often than not. Sunday’s check to the church was the hardest bit of writing I’ve done lately. I don’t tell you all this because I want pity. Honestly, I don’t. But I saw something. Something I would not see apart from the need being there and then dealt with like this. Maybe…just maybe he wants even more for me to see that he – the King – will take care of us. His promises are true. It’s easy to value the tangible over the principal when you wonder what’s coming next. But in this already/not yet space we occupy, the promise can be worth more than the temporary fulfillment. And if I don’t believe that, then I might as well believe this is all there is….you know, like I did before the door bell rang. Or they wanna refight the Reformation. Don’t get me wrong, some is not mean-spirited and is genuinely lighthearted. But much shows absolute contempt. But then I thought about Luther and all the contempt he displayed towards the Pope and all the trimmings. And I thought, maybe it’s OK to make fun. But it never sat well with me. And it’s not because I’m Catholic or heading that way. I’m sympathetic to Catholics and what they want out of their spirituality but I can’t go there. I’ll read Merton for sanity. And then it landed on me this morning. The reason I was ill at ease about evangelicals making light of the papal process and then using Luther to defend it was this. Luther was taking aim at his own tradition. Not the tradition of his neighbor alone. Luther was not trying to start a new religion or denomination or sect. He was trying to reform the church already there. Luther was Roman Catholic, if you will. not Lutheran. Back before the great hard-drive crash of 2010, I had just bought Willie Nelson’s Red Headed Stranger. Checked it out of the library so I could reclaim it – that’s ethical, right? – and have not been able to stop listening to it. As far as the business world is concerned, I’m a babe in the woods. A generation raised on Dumb and Dumber will find almost nothing sacred and will make fun of anything and everything. The generation after them doesn’t stand a chance. I’m waiting for my award…you know, because I’ve managed to raise my kids as Beatles fans. I do not think evangelism is the best way to be a “light” in the workplace. It is being just and kind and compassionate in the midst of world that is often cruel and cold and sleazy with a smile. I truly thought that after John Piper retired he would go do missions overseas in a hard place. I’m not trying to be snarky here. I really did expect that to happen immediately upon retirement. I renounce Satan and his Daylight Savings Time. The great difficulty in my marriage is I am completely happy with the society of my wife. I don’t need time away from her and when I am away, I am anxious to be back. In other words, I’m a lot like my dad in reference to my mother. I’d like for my kids to grow up with Willie Nelson songs in their head just like I did. Even though I know I’m supposed to say that I want people to buy my book because I think it will encourage them and be a help to them…and while that’s true…I also want people to buy as many books as possible so I don’t have to get a second job. Watched the movie version of The Road last night. And I tell ya, the first time you hear boy cry…I mean he sounded just like my son Knox and I had to go look in on him just to see him breathe in his sleep. The way guys talk about their beards these days reminds me of teenage girls and the way they talk about their hair and makeup. Sorry, it’s just true guys. I’m not very good at book reviews. This is especially true when the book changes you as you read it. Cormac McCarthy’s The Road is that kinda book. So Instead of a review I want to give you some of the thoughts I had while reading and then after finishing. Pretty late to the party on this one. I just discovered McCarthy a few weeks ago and have been tearing through his works ever since. There are very few writers I connect with as a reader and as a writer. McCarthy now sits atop the list. But if you are looking for a feel good book, this ain’t it. However, if you are looking for something profound in the world of Honey Boo-Boo…well, here ya go. There is no other book I can think of where I’ve wanted to finish and yet never end. It’s a dark book. Yes. Dark like the night sky without which you cannot see the heavens. Dark like prophecy. The Christian world will probably keep on writing as if a book like this does not exist. As if no one writes like this. Amish Romance will continue to reign. I bet Wendall Berry hates this book. Just like every good parable, I bounced around from every character wondering which one was me. I can’t even imagine the man and the boy complaining about preservatives in food. Is this what a world rebelling against God looks like when the veil of grace and beauty is pulled back? Belief and unbelief both seemed reasonable. I was at least understanding of those who had no hope. My life is full and the gravity of life and death are interruptions. Their lives were nothing but life and death with a few brief interruptions. My interruptions are less valuable for all that. I bet pacifists hate this book. The outdoors were safer than the indoors. Which is the opposite of the world as we know it. I kept picturing Jeremiah and his lamentations. 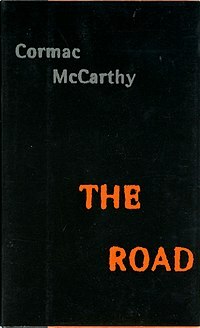 Publishers Weekly described McCarthy as the closest thing in American literature to an Old Testament prophet. About right. 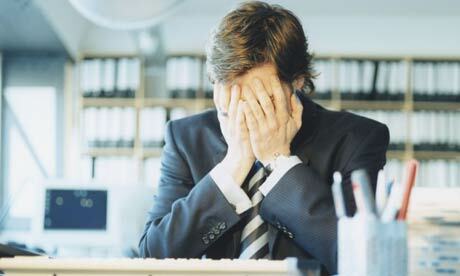 Right now, discouragement about work and vocation are like a tidal wave. But we have clothing. We have food. We have safe shelter. Beauty and reasons for wonder everywhere. And cannibals are not trying to eat us. Good reminders. There has been no leader in the Reformed community who has spoke up for the victims of sexual abuse in SGM. Not one. No Reformed leader has nailed their horror or concern to the door. The heirs of Luther who railed against the abuse of indulgences are silent on the abuse of women and children. Those who would die on the hill of complimentarianism have ceded the moral ground to the ladies of The Wartburg Watch and Julie Ann Smith. Those who decry the power of the Roman church wield its echo. Is there no man with a ready hammer and nail willing to heave his weight and influence into the silence? All of the gospel-hyphenated books may become millstones before all is said and done. They will not list away from Orthodoxy because of Rob Bell so much as a lack of love. And silence. So much silence.